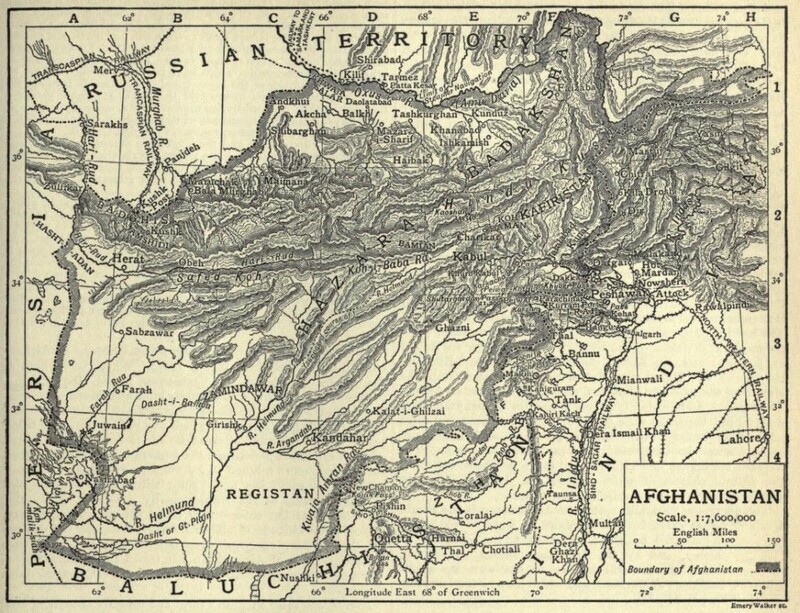 1911 Afghanistan map taken from an encyclopedia. Some believe that people were living in this region at least 50,000 years ago. Notice the historical names for Iran (Persia) and Pakistan (Balochistan) and other differences from today’s maps of the regions. The Russians held the territory that would become Turkmenistan, Uzbekistan and Tajikstan. The capital city was Badghis before it was moved east to Kabul.